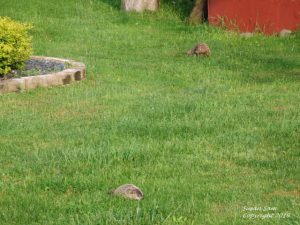 March-May Raggedy and Heidi are with us again this year. 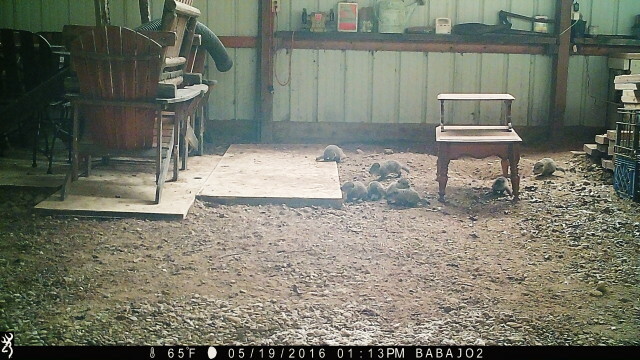 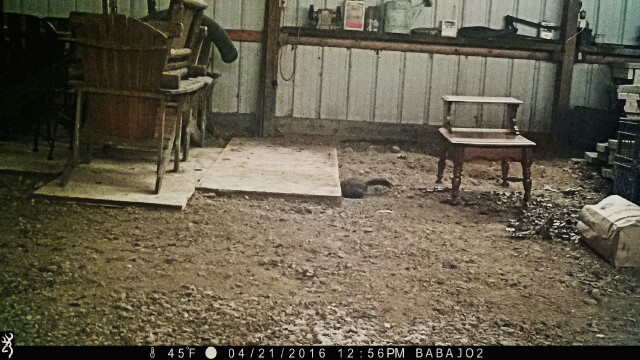 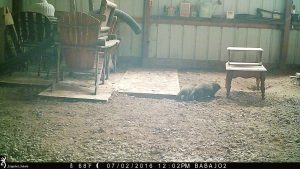 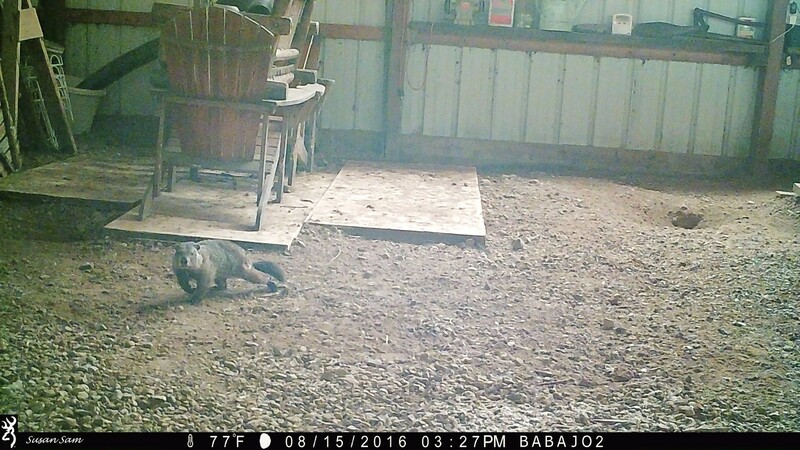 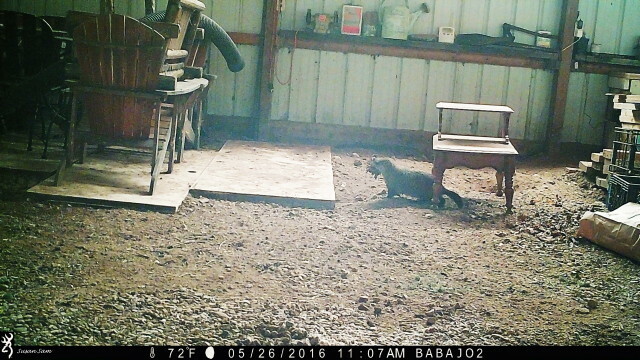 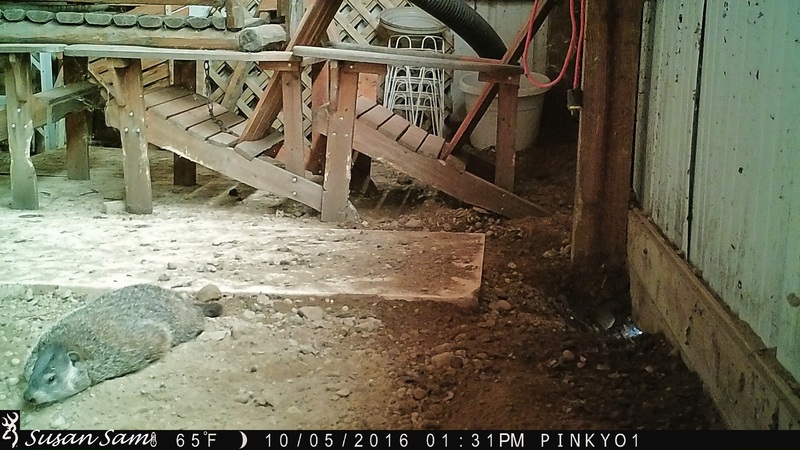 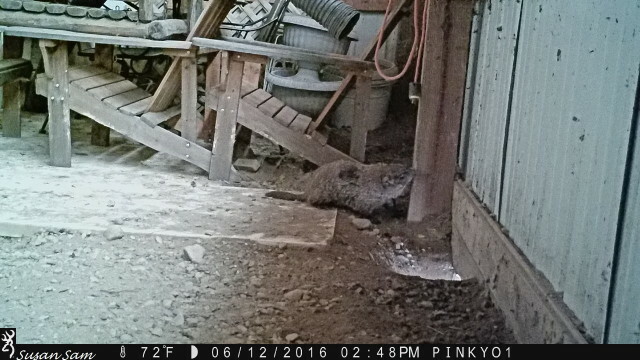 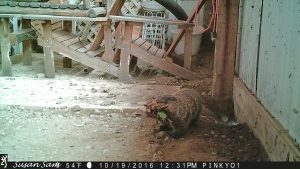 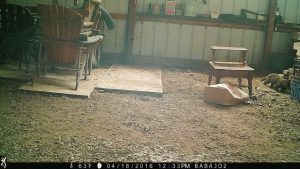 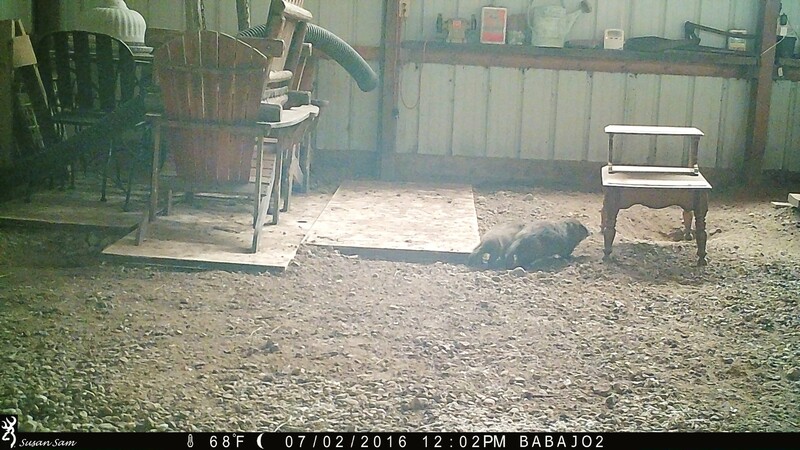 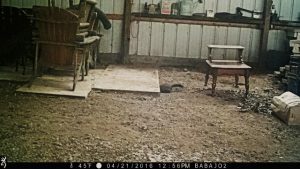 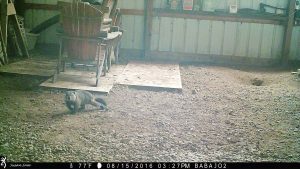 Trail cameras were added inside and outside the barn to capture activity not visible from our windows. 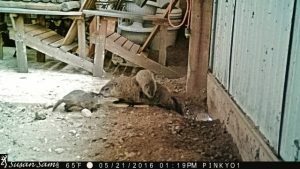 With these new observation aids, Raggedy was documented in the barn during the mating period, during Heidi’s pregnancy, and after their eight babies emerged from the natal burrow. 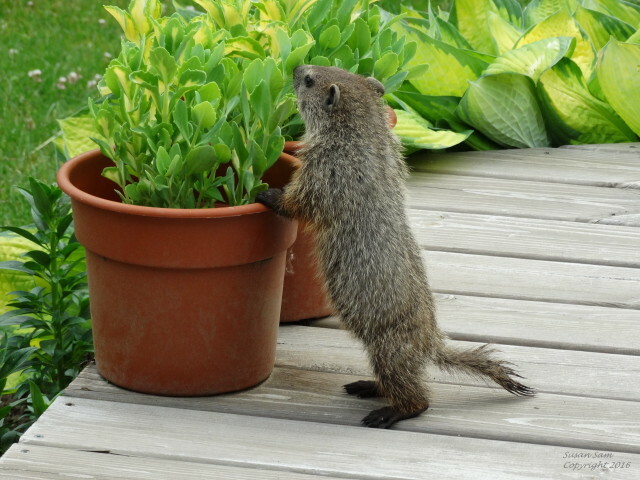 Within days of the babies May 15th emergence, they began exploring. Like others before them, they were drawn to the Rock Garden. 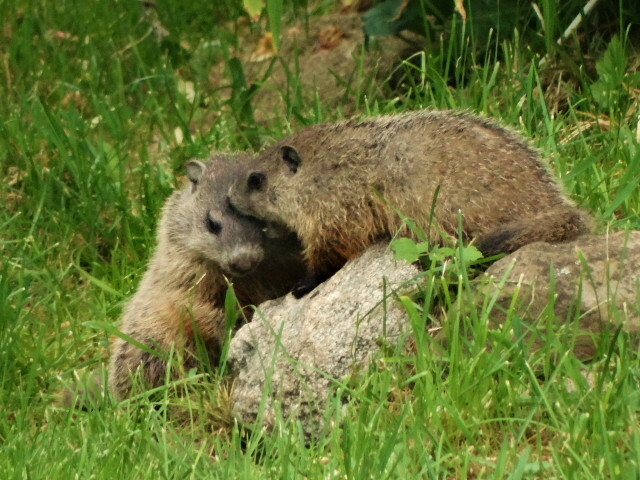 The rocks and vegetation there provide camouflage and is an ideal location for them to eat, play, and hide. 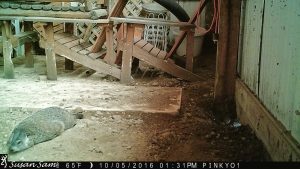 A small drain tube offers an additional place to take cover. 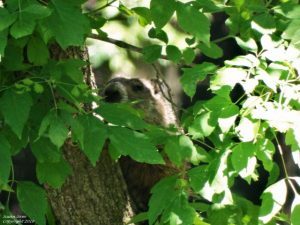 By May’s end, the chucklings had traveled to the shed and as far away as Burrow #5 which is in a wooded area about 175 feet from their birth den. 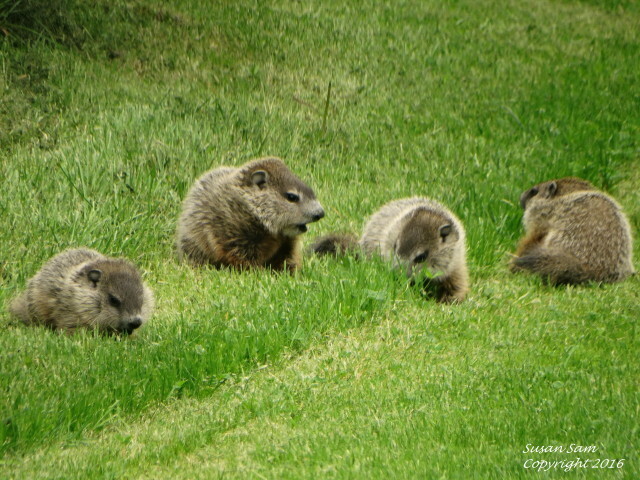 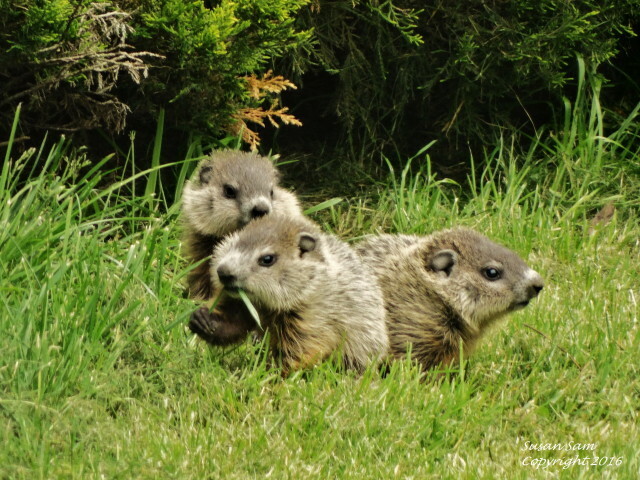 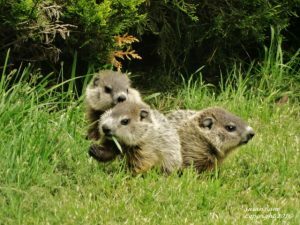 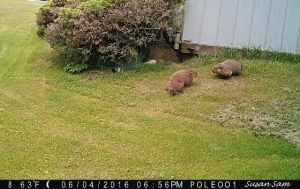 June On June 23rd, Heidi was recorded leading three babies from Burrow #5 to the front deck burrow location. Raggedy watched over them and the burrows nearer to the house, while Heidi was seen around Burrow #5 with other chucklings. 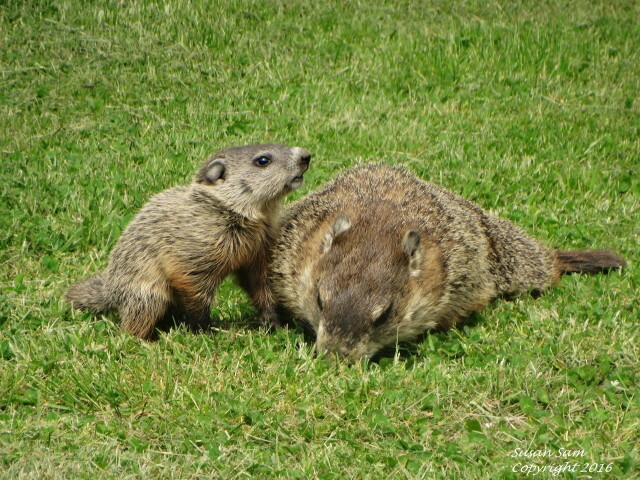 This is another example of male involvement in the raising of the young. 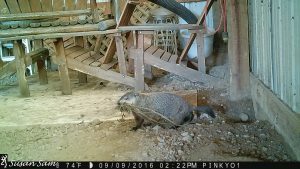 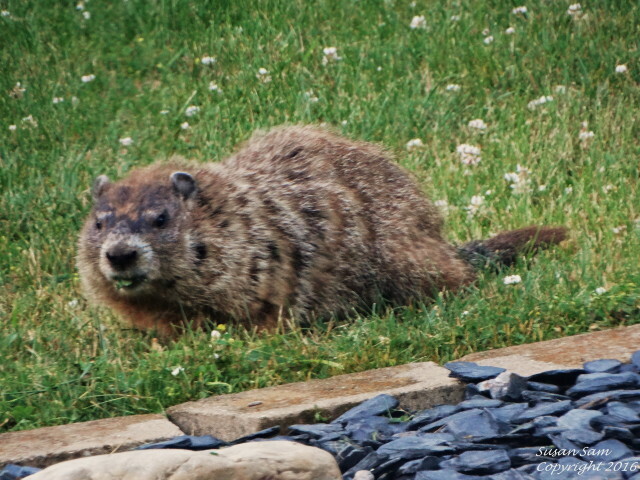 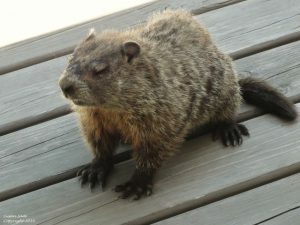 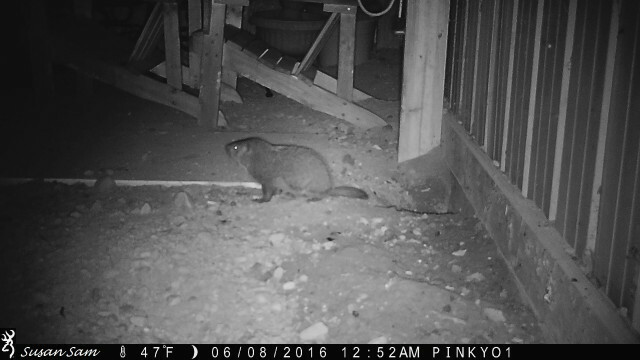 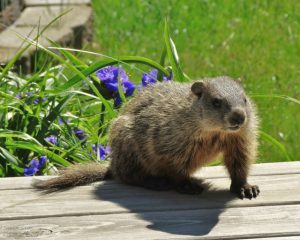 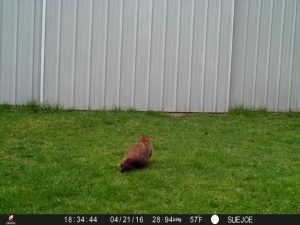 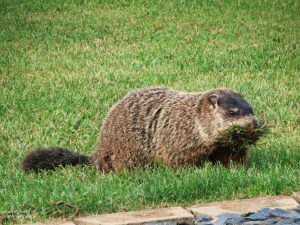 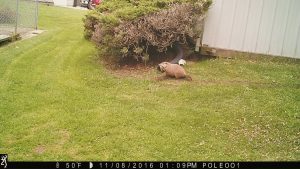 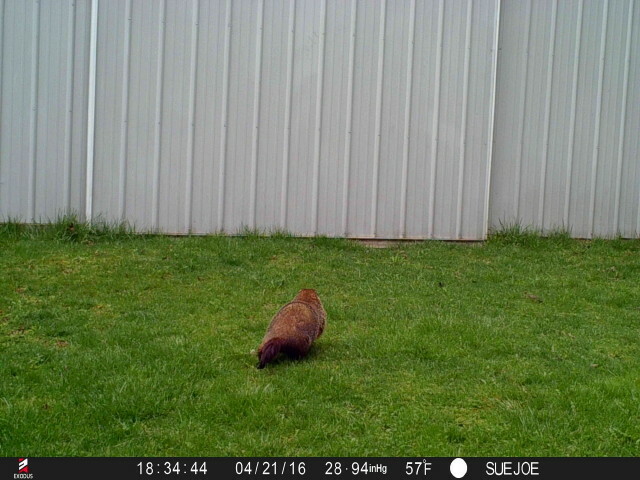 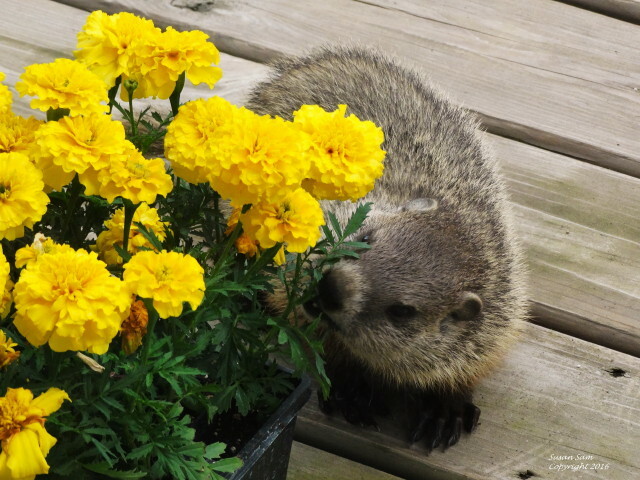 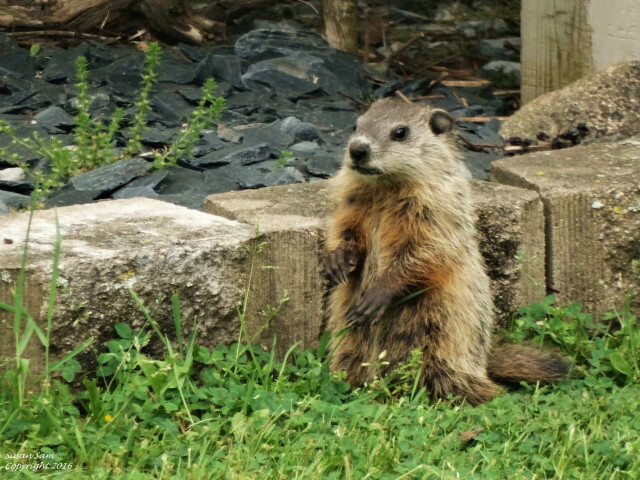 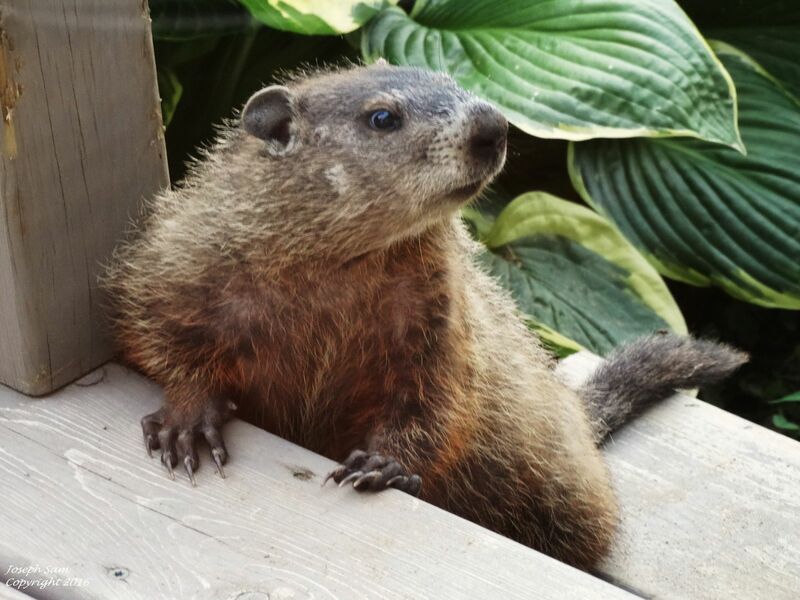 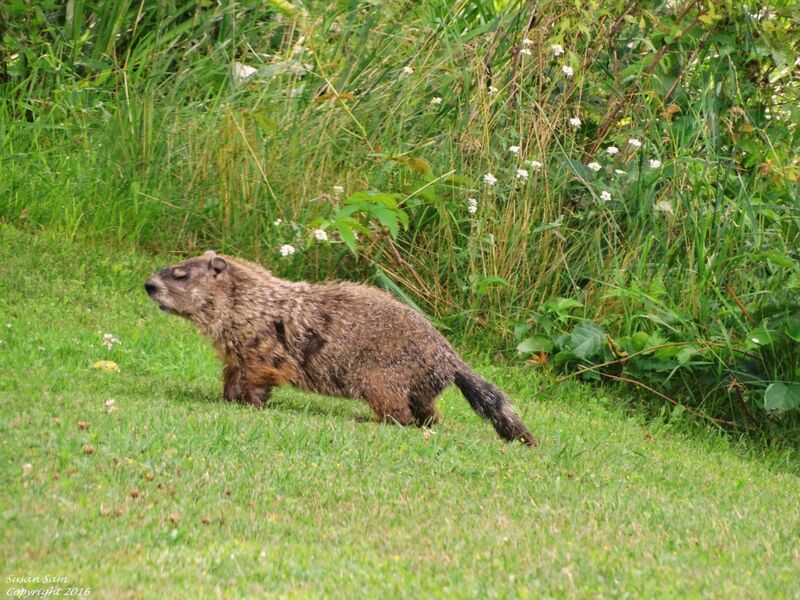 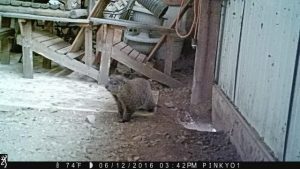 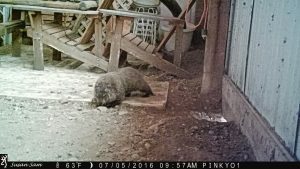 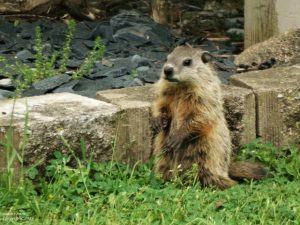 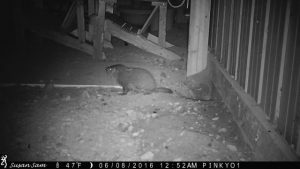 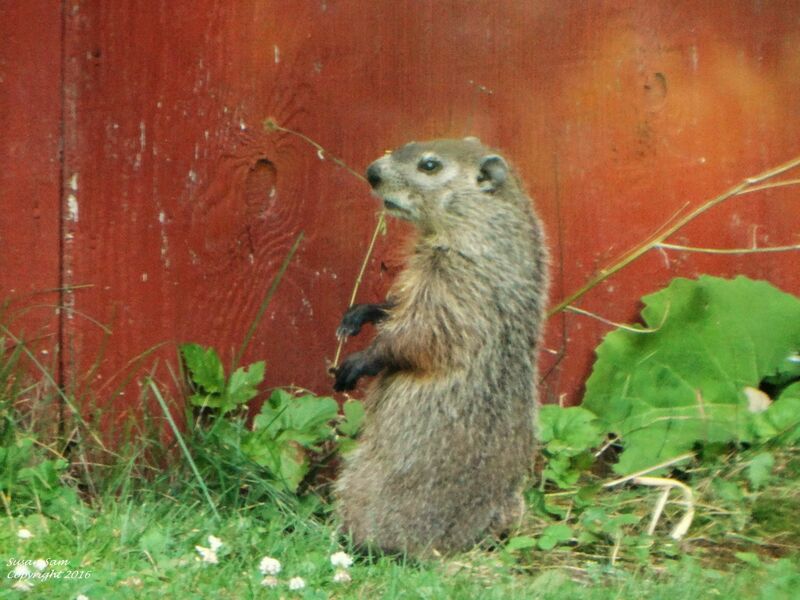 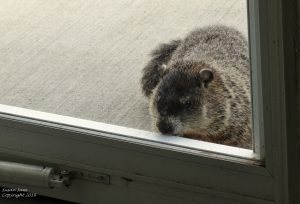 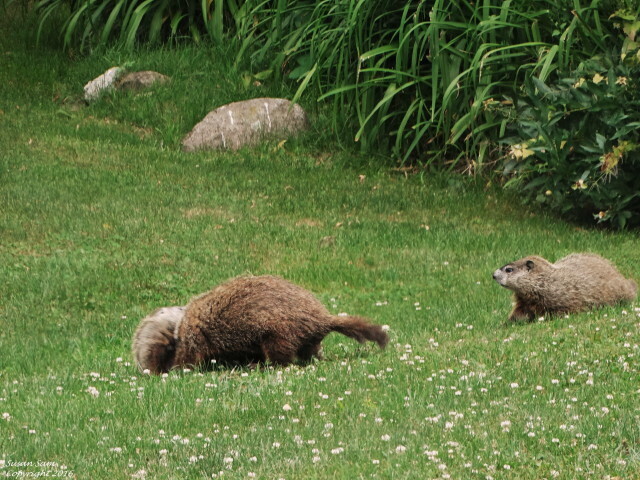 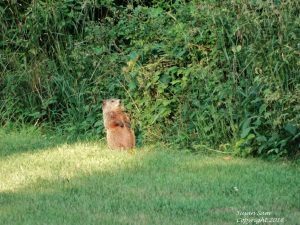 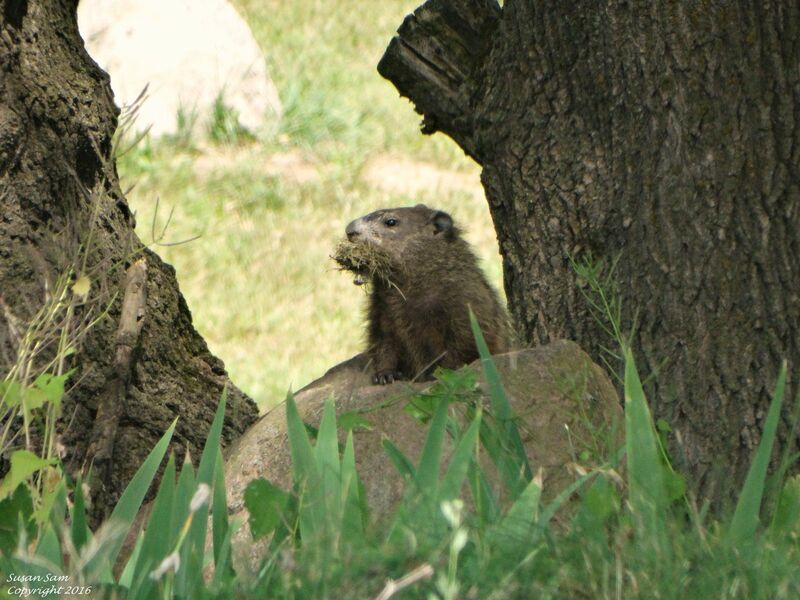 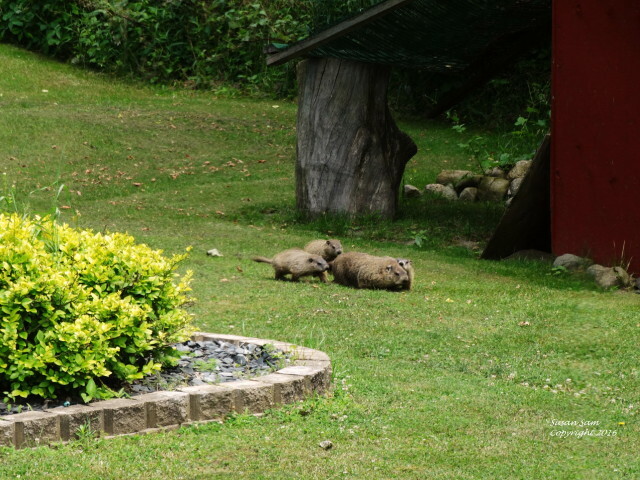 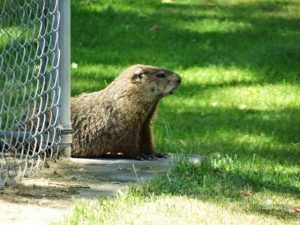 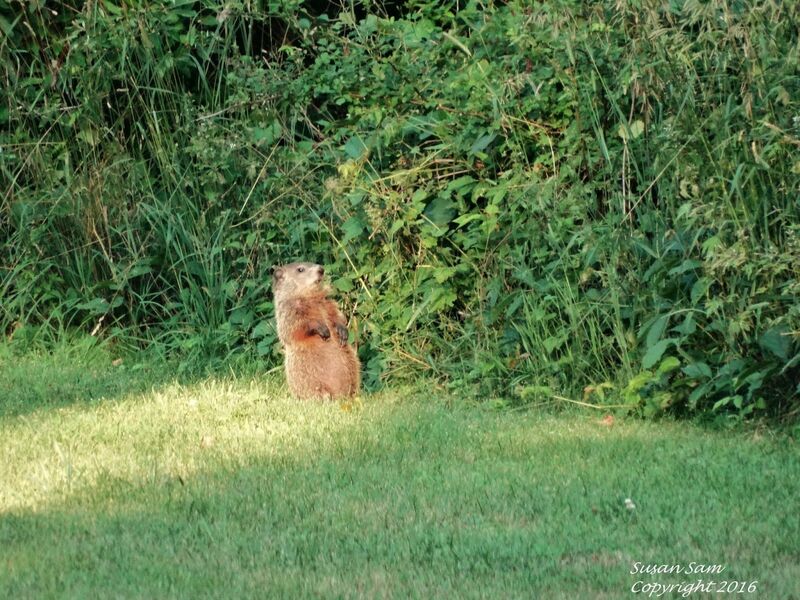 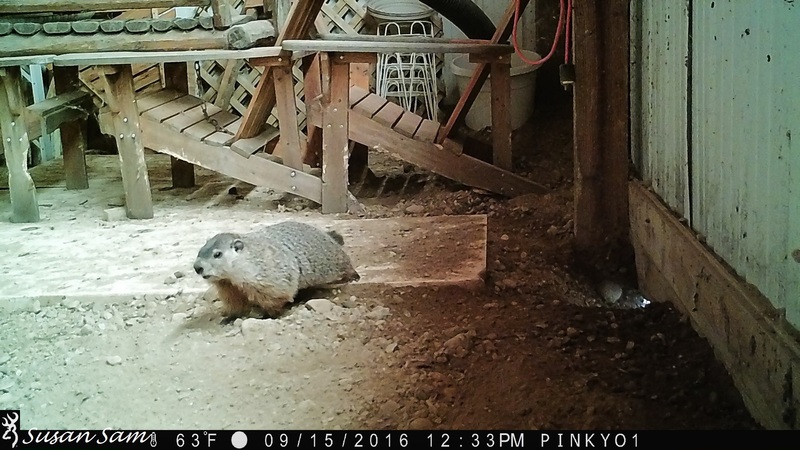 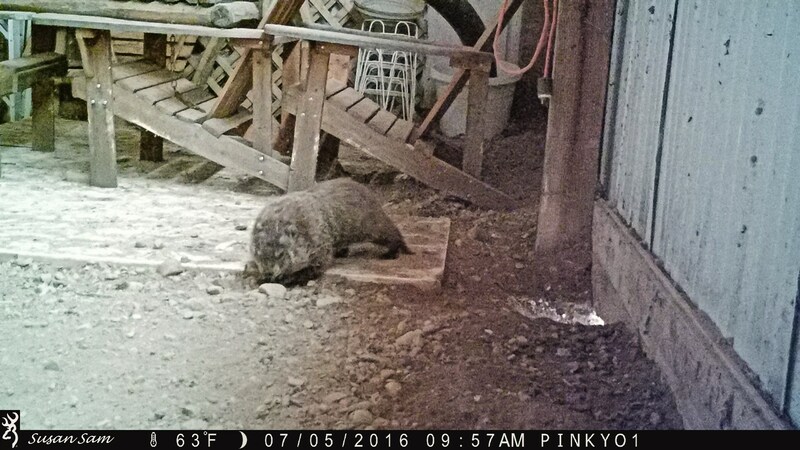 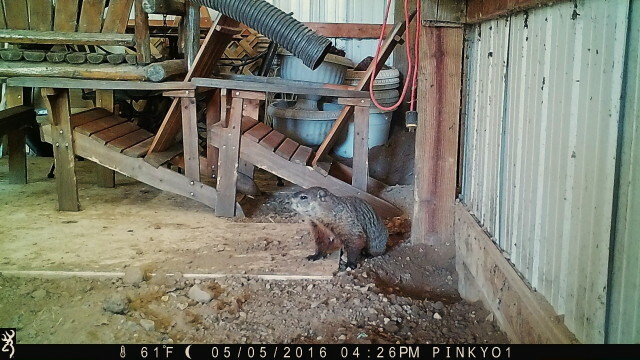 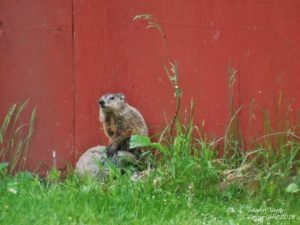 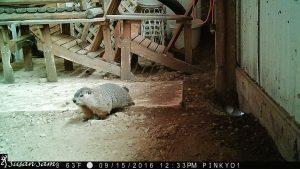 The arrival of a new woodchuck occurred in June. 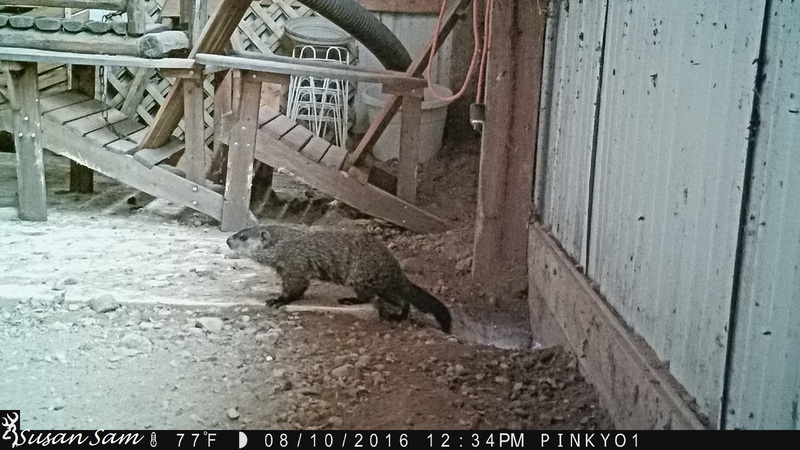 Confirmed to be a male, we named him Fred. He’s identifiable by the patchy pattern of his fur. He stumbles periodically but is capable of climbing trees. 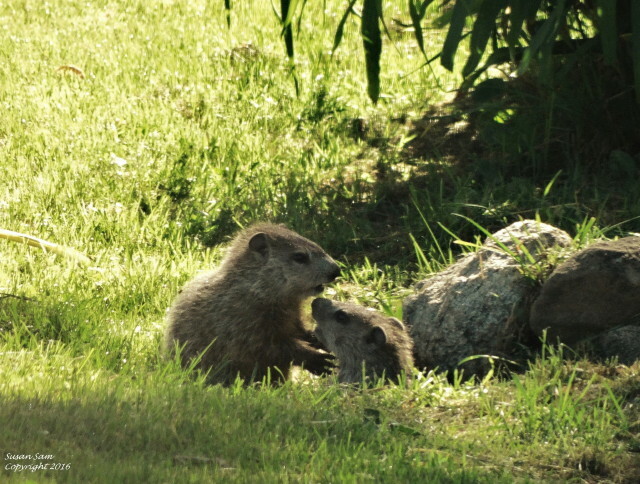 Fred’s role in the family is uncertain. With tens of thousands of trail camera images, we’ve gained significant insight into groundhog behavior. 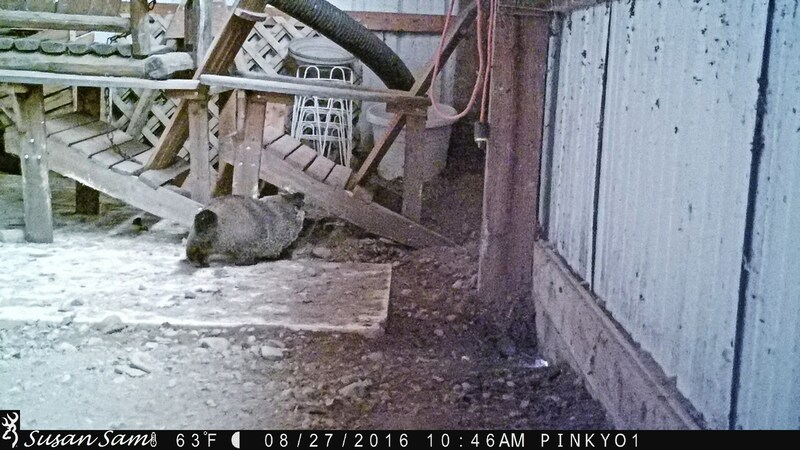 An unusual activity captured via trail camera is chuck activity after midnight, such as around 1:00 am. July-November Heidi’s presence after bringing the babies to Raggedy on June 23rd was infrequent. 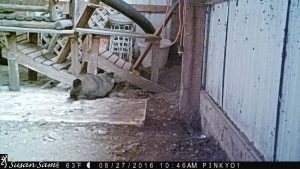 She was last seen at the end of August. Our resident female since 2014, Heidi has been our longest resident female since Wilhelmina (2003-2011). 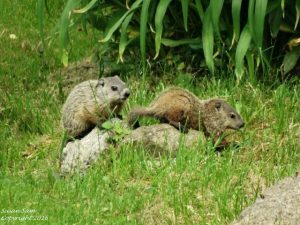 Raggedy and Fred continued to be seen regularly and were documented into October along with two juveniles, Ira and Reggie. Whether Fred is a helper or second mate is unknown but, clearly, he’s been involved in family activities. 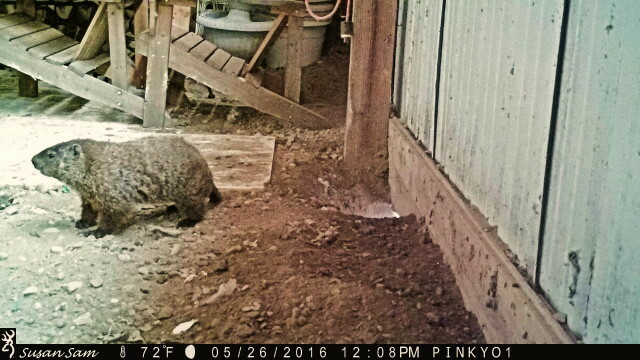 He’s assisted in burrow maintenance and engaged in playful behavior with at least one juvenile. Sightings of Raggedy and Ira ceased in October, with Fred and Reggie remaining. 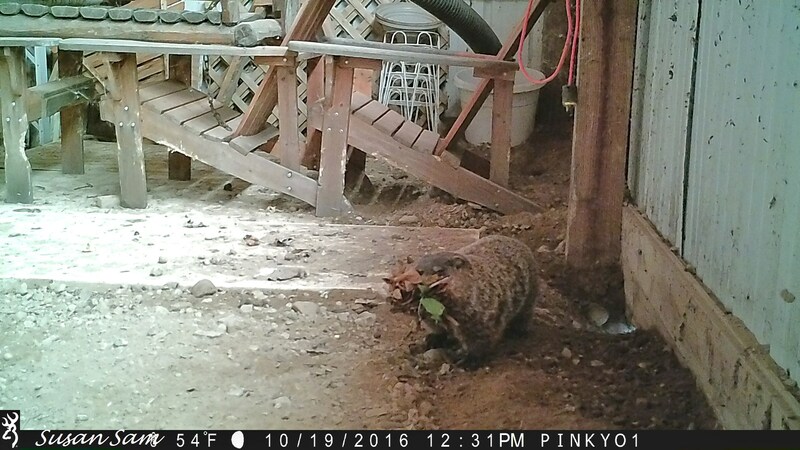 On October 18th and 19th, Fred spent hours bringing in leaves for one of two barn burrows. 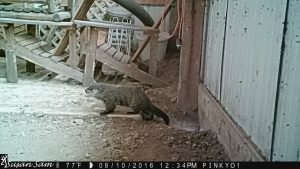 By November, Reggie was the only chuck we were seeing and was last observed on November 8th making multiple trips to the barn carrying leaves for the burrow. The barn burrow used by Heidi, and others, didn’t appear to be in active use. 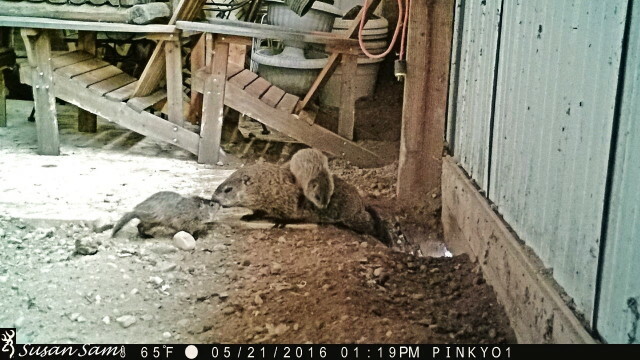 The second barn burrow, the same one Fred brought leaves in for, is being used by Reggie. 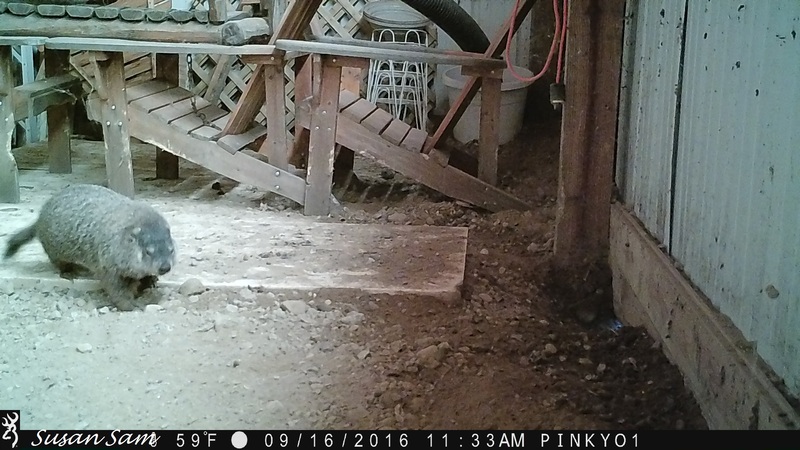 We assume Reggie is now hibernating in this burrow. 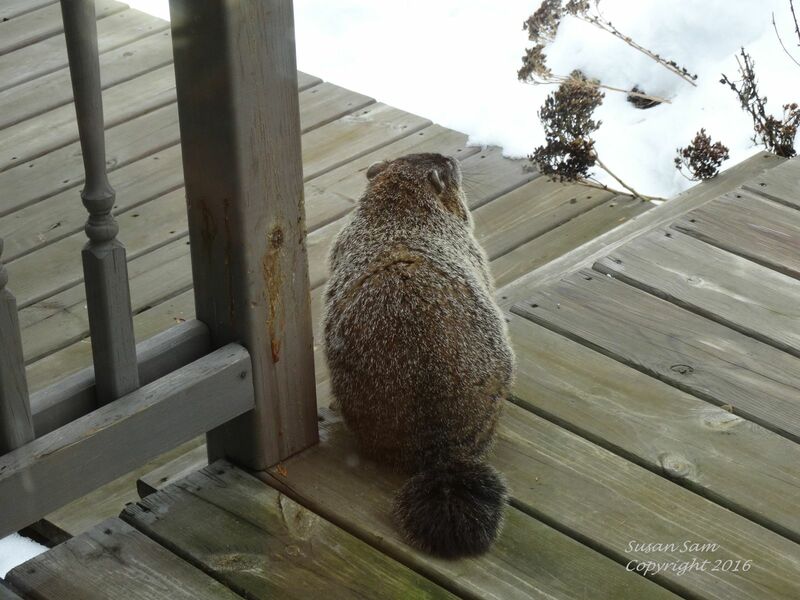 December Update: On Christmas Eve, we were astonished to see Fred on our back deck! 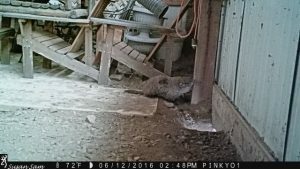 Review of trail camera photos in the barn give strong evidence there was a burrow problem which Fred attended to on the 23rd and 24th. 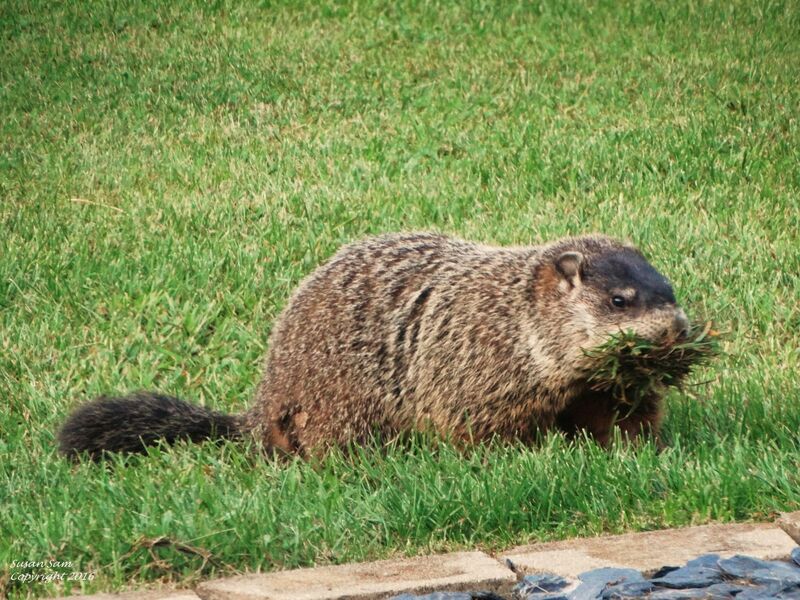 It appears he has resumed hibernating. 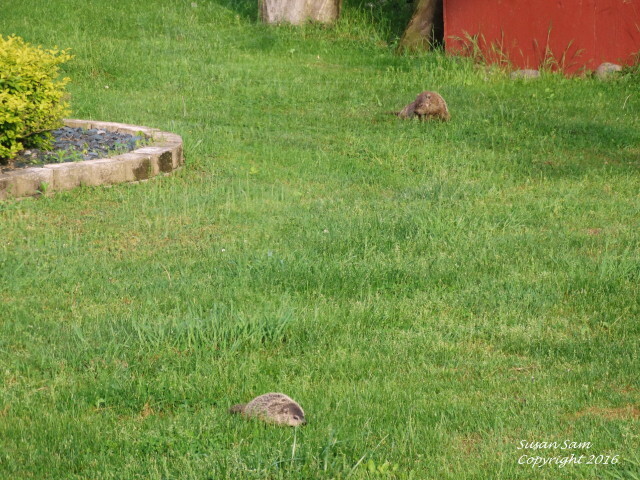 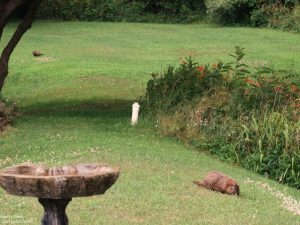 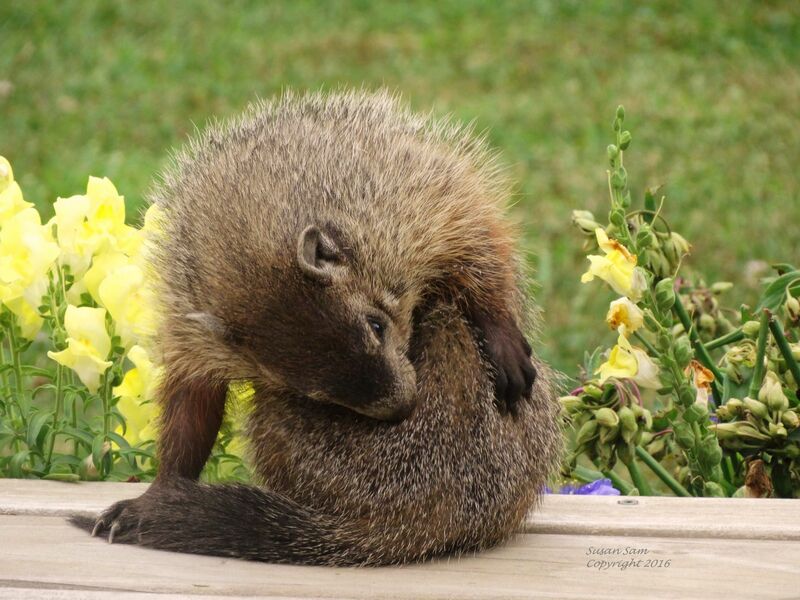 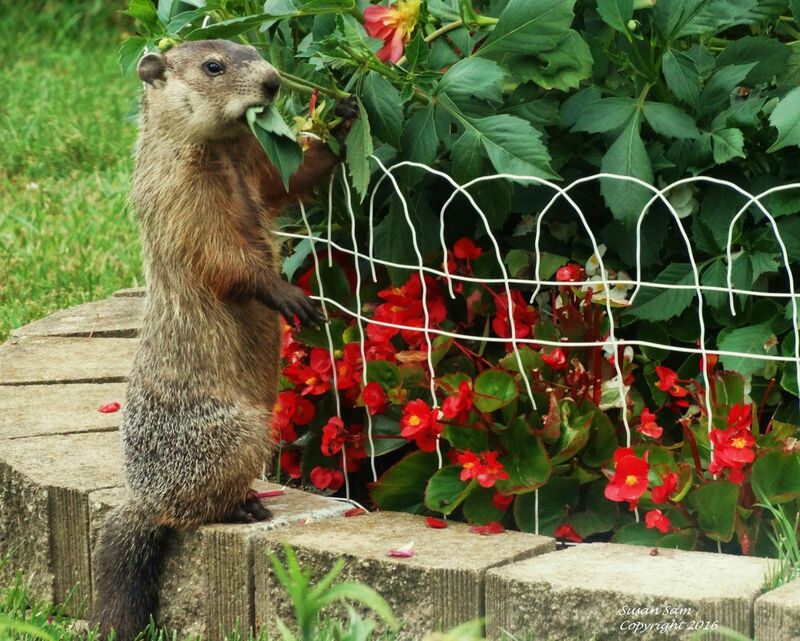 Early awakening is potentially harmful to groundhogs because it requires a lot of energy. 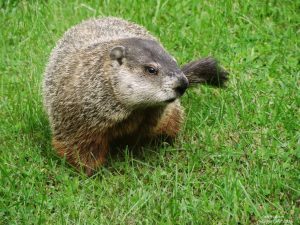 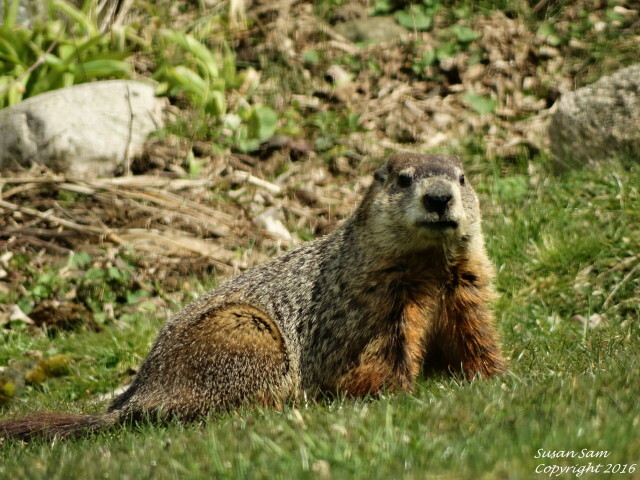 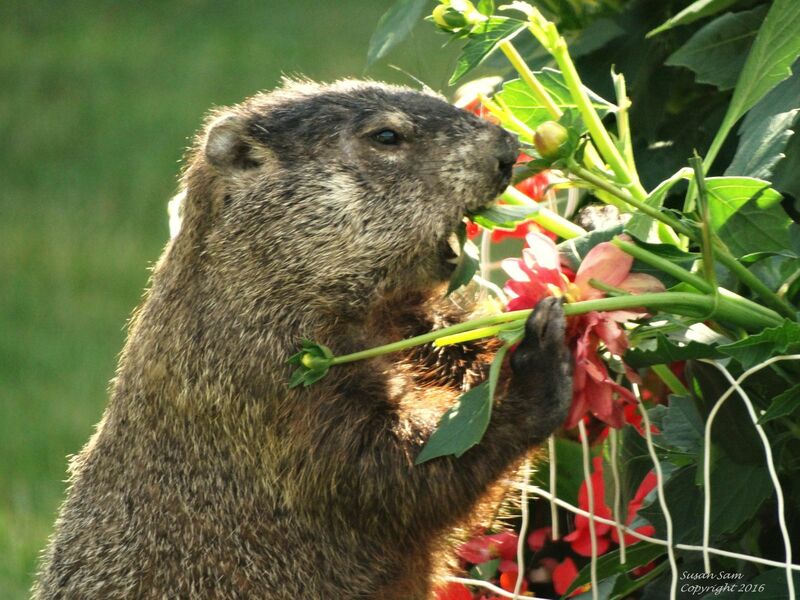 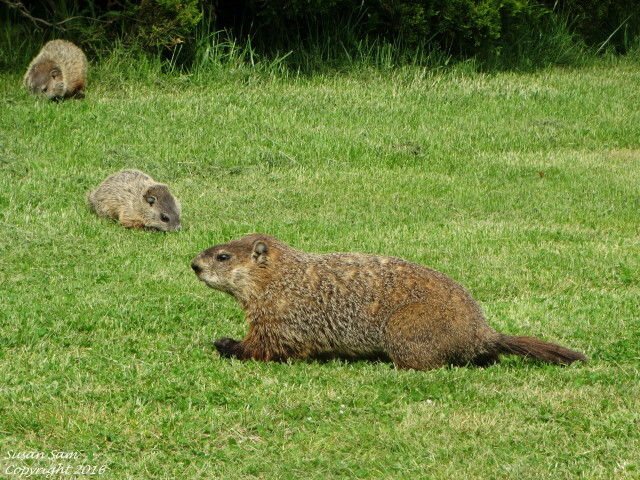 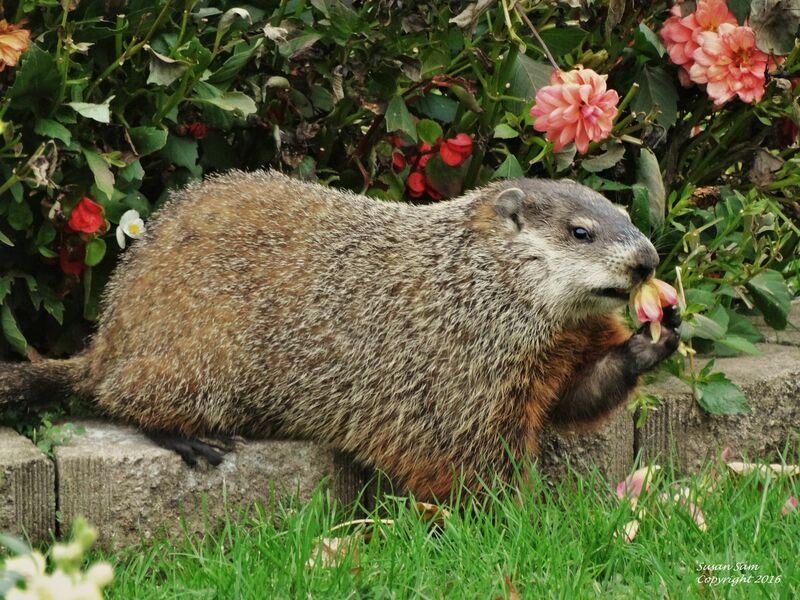 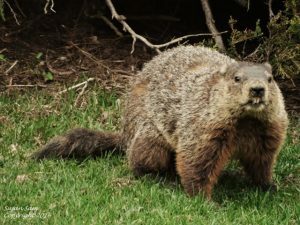 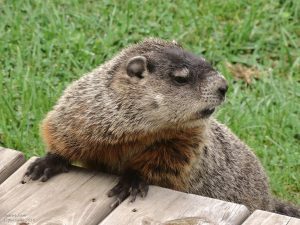 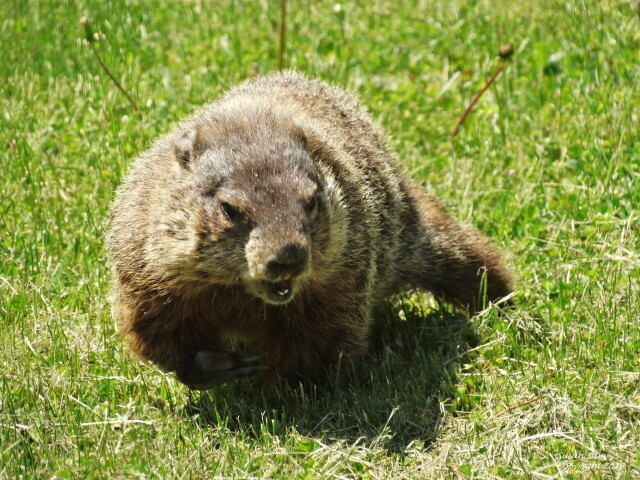 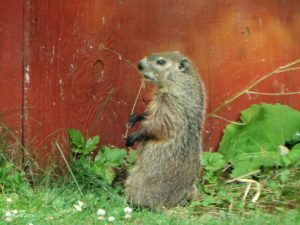 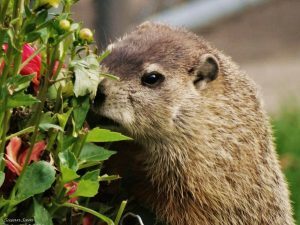 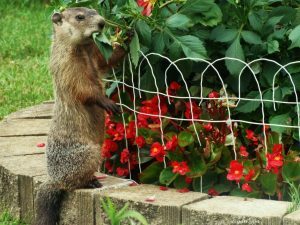 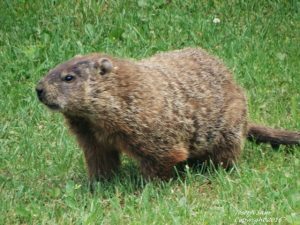 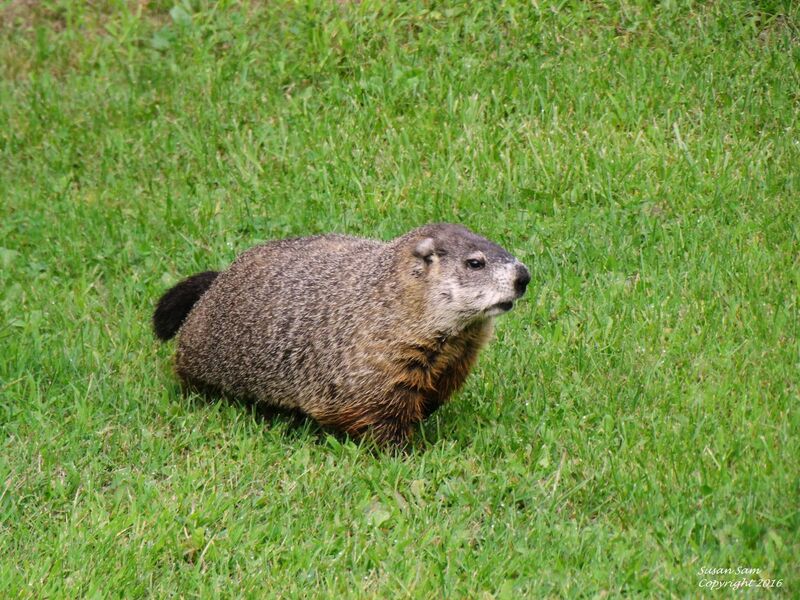 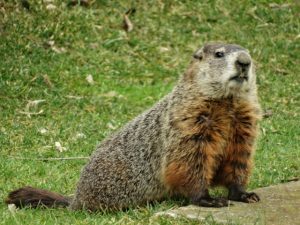 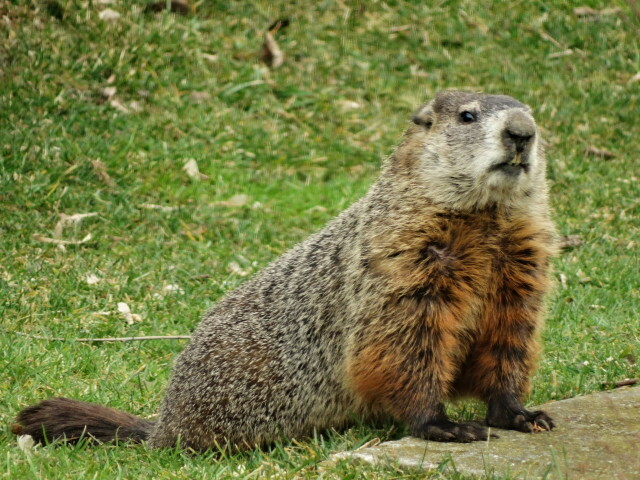 Groundhogs use stored fat over winter to survive. 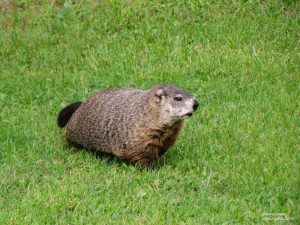 When fat is gone, their muscles are used for fuel which is harmful. An additional concern for early awakening is predators. 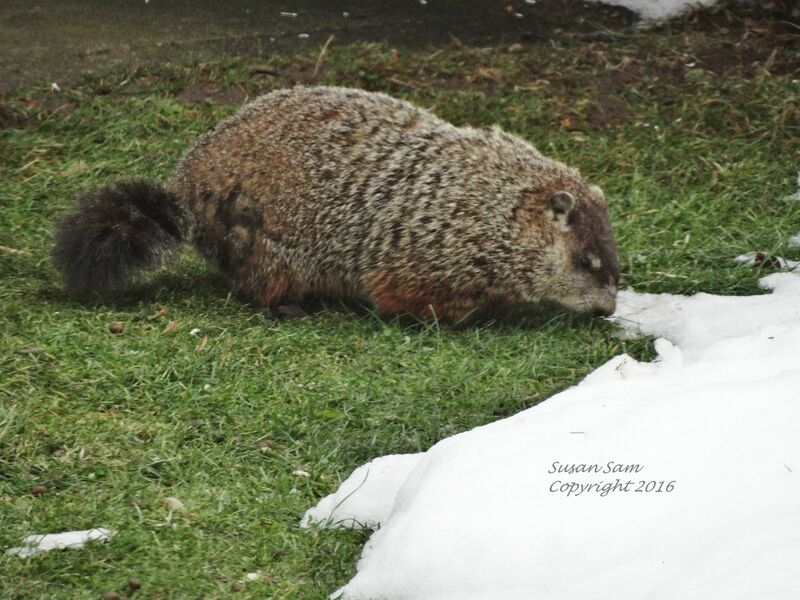 Groundhogs are more visible in the snow, and the holes they use in escaping are covered over.